In near future, the users of iPhone, iPod Touch, and iPad can surf the internet using Chrome, a browser made​​ by Google that so far only available for Android-based mobile plaform. As reported by Tech Source, Apple is currently testing iOS version of Chrome browser that are created by Google. There is still no definite information about the release date of the Chrome browser for iOS. But it is expected to be release in the near future, possibly in the second quarter of 2012. 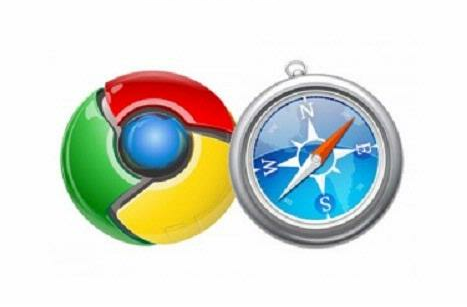 If properly launched, Chrome will be serious rival of Safari, the browser used by Apple's mobile devices. Chrome popularity among desktop computer users surpassed other browsers, like Firefox and Safari. However, Apple is sure that their Safari browser would still be used by users of iPhone, iPad, and iPod Touch. Third-party applications like Google Chrome is not allowed to become default program to open a document or link in iOS. As a result, when opening an Internet link, the active browsing application will be opened is Safari, not the other browser. A similar way ever be done by Microsoft at the end of the decade of the 1990s with Internet Explorer (IE) bundles as the default Windows browser. It have a bad effect to IE main rival at that time, Netscape Navigator.